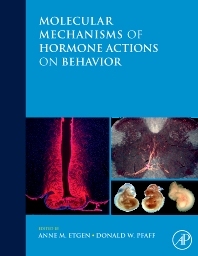 A single volume of 31 articles, Mechanisms of Hormone Actions on Behavior is an authoritative selection of relevant chapters from the Hormones Brain and Behavior 2e MRW, the most comprehensive source of neuroendocrinological information assembled to date (AP June 2009). The study of hormones as they impact the brain and, subsequently, behavior is a central topic in neuroscience, endocrinology and psychiatry. This volume offers an overview of neuroendocrinological topics, approaching the subject from the perspective of the mechanisms which control hormone actions on behavior. Female, male and stress hormones are discussed at the cellular, behavioral and developmental level, and sexual differentiation of the development of hormone-dependent neuronal systems, neuropeptides/neuromodulators, and steroid-inducedneuroplasticity are addressed. There is simply no other current single-volume reference with such comprehensive coverage and depth. Authors selected are the internationally renowned experts for the particular topics on which they write, and the volume is richly illustrated with over 175 figures (over 50 in color). A collection of articles reviewing our fundamental knowledge of the mechanisms of neuroendocrinology, the book provides an essential, affordable reference for researchers, clinicians and graduate students in the area. Behavioral neuroendocrinologists, basic neuroscience researchers, graduate students in neuroendocrinology, neuroscience and endocrinology. Albert Einstein College of Medicine, New York, U.S.A.